In a wonderful sign of Christian unity, thousands of Christians took action on behalf of Said Musa, an imprisoned Christian facing death in Afghanistan for converting to Christianity. Said Musa HAS BEEN FREED from prison and is now safely out of the country. But Said Musa was not alone. Another Christian—Shoaib Assadullah—is facing the same possibility for his crime of converting to Christ. 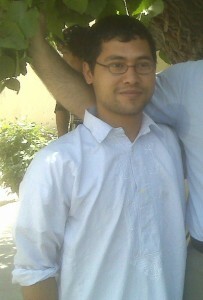 Shoaib, in his early twenties, was arrested on October 21, after he gave a New Testament to one of his friends. The friend gave the New Testament to Muslim authorities, who summarily arrested Shoaib. Though he has not been formally charged, this young man also faces the death penalty under anti-conversion laws in Afghanistan. Even though Shoaib’s family does not agree with his conversion to Christ, they are spending their time and their money trying to get him free. According to this report, Shoaib’s family has exhausted their income and savings trying to save his life. As his father said, “He’s my son. Whatever he believes, I have to help him.” His father’s help has not prevailed over the authorities. Shoaib remains in jail facing death for converting to Christ. In December, Shoaib was offered the opportunity to be freed if he would renounce Christ and return to Islam. He refused, and the judge told him that he would either be sentenced to death or he would be in prison for 20 years. Though he has appealed, he remains in prison, possibly facing death for faith in Christ. As International Christian Concern says, “We must remain vigilant and keep the public and diplomatic pressure alive by continuing to shout with one voice for Shoaib Assadullah until together, we can also celebrate his release.” Amen! We must keep up the good work for Shoaib even as we celebrate Said Musa. And we must keep praying (see 2 Corinthians 1:8-11). This entry was posted in Christian Living, Persecution, Politics and tagged Afghanistan, christian, christianity, Persecution, prison, Said Musa, Shoaib Assadullah, World Religions. Bookmark the permalink.